The Dashboard is the first thing you see when you open the Amazon Sumerian app. 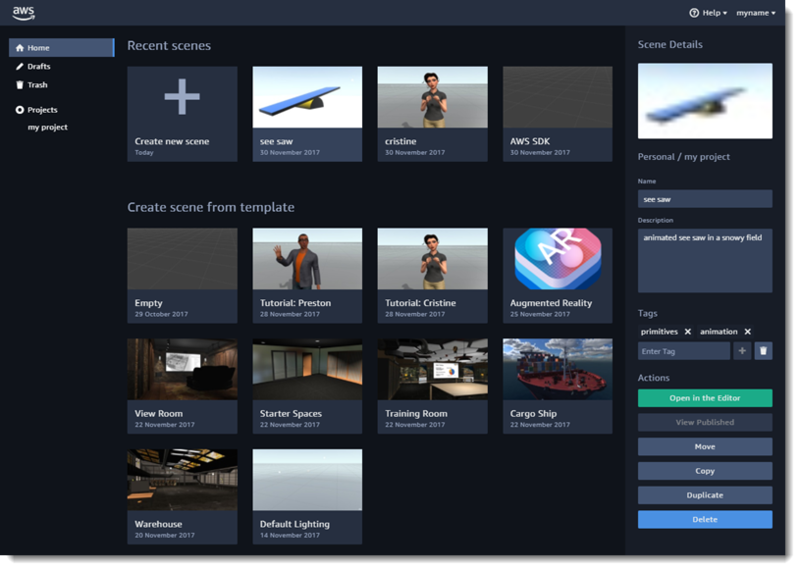 This is where you manage your projects, scenes, asset packs, and templates. Projects collect scenes and the templates and asset packs that you export from them. You can create draft projects outside of a project, but you must have a project to export templates and assets. When you open a scene in the editor, it is locked to prevent other users from modifying it. The dashboard manages locks and lets you steal a lock if the other user leaves a scene open by accident.